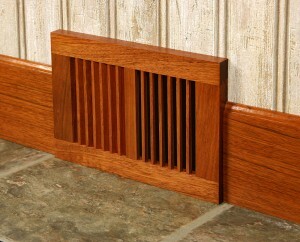 All American Wood has a large variety of wood registers available for a variety of applications and mounting styles. All mono-directional, horizontal slot registers and grilles are milled from a single piece of solid wood on our custom-built machines. There are no glued joints to dry out, loosen or crack. Our bi-directional, vertical slot models are precision engineered for maximum strength and durability, while providing optimum flow volume. They are assembled to precise tolerances using our proprietary TightJoint™ design. Machined after joining, this process leaves no glue traces to cause uneven staining or finishing. Flush models nestle into a wood frame manufactured to fit the duct opening and installed along with new flooring or are retrofit into an existing floor. The frame is nailed into place, while the register unit itself can be lifted out for cleaning. 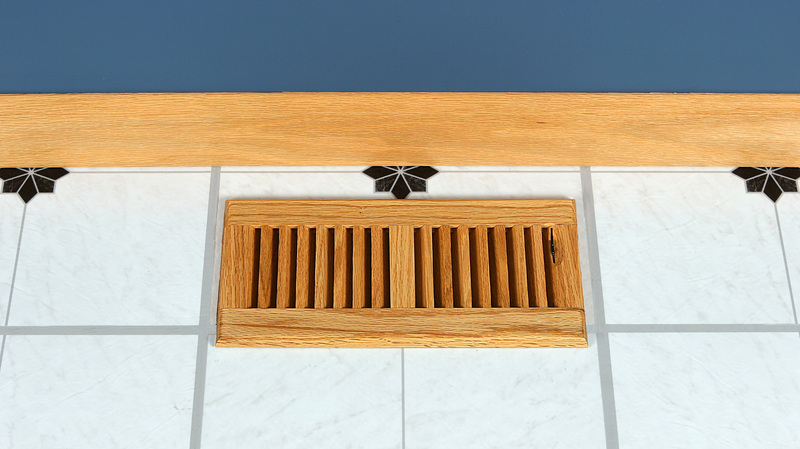 The floor vent face is flush with the floor surface and can be equipped with an optional damper whose airflow control thumbwheel is recessed to make sweeping and vacuuming easy. Surface models simply drop into the duct opening on floor register models. 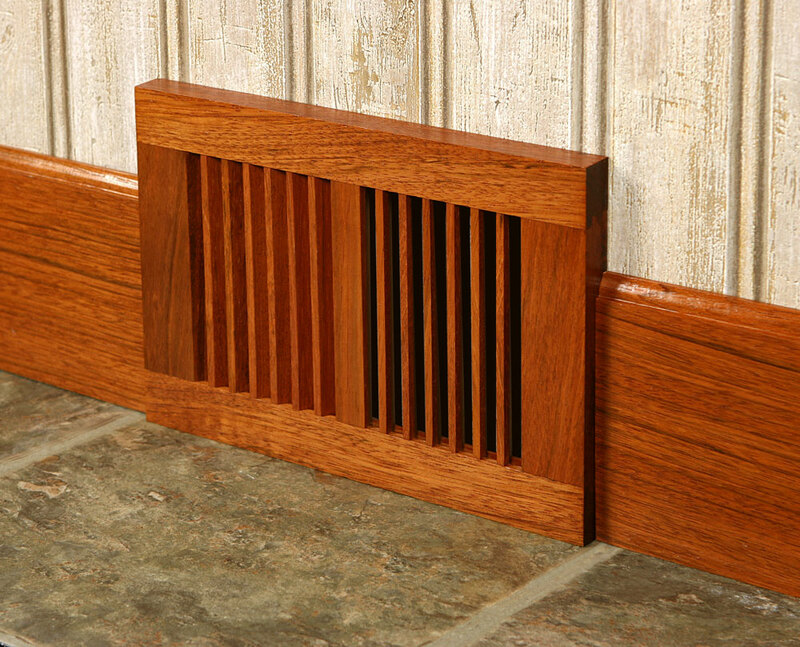 These overlap the duct opening, covering uneven hardwood, laminate, tile or carpet edges. 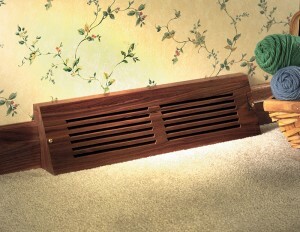 Slab models are most often used as cold air returns, but can also serve as active register vents. Our versatile baseboard register can be used to accent carpeting, marble or stone, wood, laminate and resilient flooring. 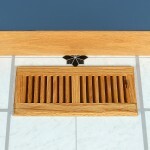 Available in 15-inch, 18-inch and 24-inch standard register vent sizes.